Ugandan Kids on BET 2017 – Kenyatta University TV (KUTV). All Rights Reserved. To living and growing up in a slum in Uganda, they have become international superstars – The Ghetto Triplets from Uganda! They were featured in French Montana’s latest hit ‘unforgettable’ with Swae Lee, breathing life into the song. Their Stars are only shining brighter as last weekend they put up an electric performance at the BET in Los Angeles. The Triplets Ghetto Kids and Montana were all clad in white doing their dancing patterns and their performance was among the night’s best performances including DJ Khaled’s I’m the One. The Kids in one of their shows explained that from Music, dance and drama is where they get their food, school fees and medical care. 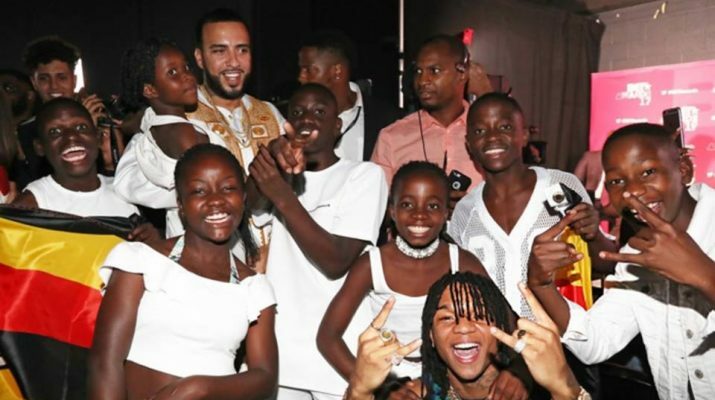 French Montana was inspired by the young dancing triplets from Uganda on YouTube. He tracked them down and ultimately featured them in the video! The whole video was shot in Uganda and promoted a fun, carefree environment! He went on to donate a massive $100,000 to the Mama Hope Organisation.